Favelas are the urban slums of Brazil. Slums—the image is already filling your mind—are marginalized areas of society without state investments, without basic needs: infrastructure, sanitation, road systems, health, education. They also lack access to information and communication technologies (ICTs). Why, then, are they important places for studying “advanced” topics like technology, knowledge economy, and sociotechnical practices? What could they have to teach us? View from Favela de São Benedito. Photo by Leandro Recoba. Outsiders often see favela residents as “untamed” and digitally illiterate. 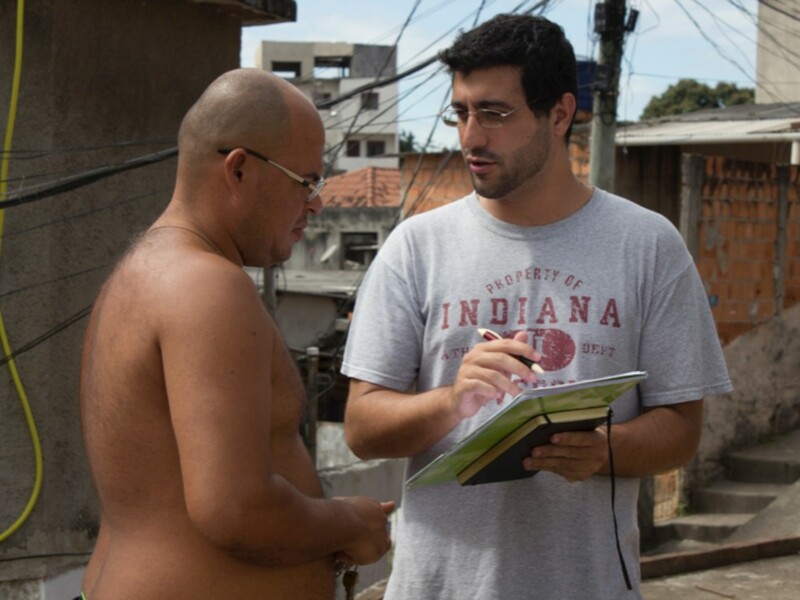 But during eight months of ethnographic fieldwork in the slums of Brazil, I saw people challenging the notion of “resource poverty,” appropriating ICTs and skill building in innovative ways. Favela residents critically engage with artifacts designed for advanced industrialized contexts and have to develop their skills of bricolage to survive in a broken environment where repair was a constant socio-technical practice. 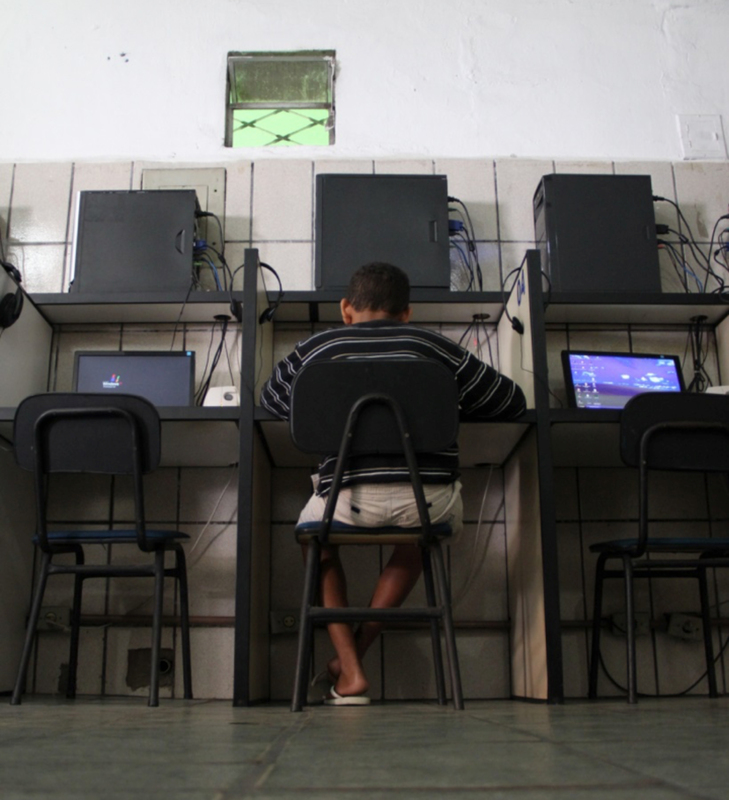 Favelas are considered the “wrong” places for studying technology because they are peripheral to the main economic, technological and political centers. Studying “wrong” places, however, allows us to learn a lot about place and its persisting importance in today’s “knowledge economy” (Takhteyev, 2012). Interviewing in the favelas. Photo by Jeferson Louis. The lack of state presence in Brazilian favelas allows for the emergence of armed groups who use violence to control drug dealing, enforce contracts and maintain power. They maintain their own order; enforce their own laws. Drug lords are respected by favela residents because they create an environment in which critical segments of the local population feel relatively safe despite high levels of violence around them (Nemer & Reed, 2013). d playing in one of the LAN houses. Photo by Thais Gobbo. 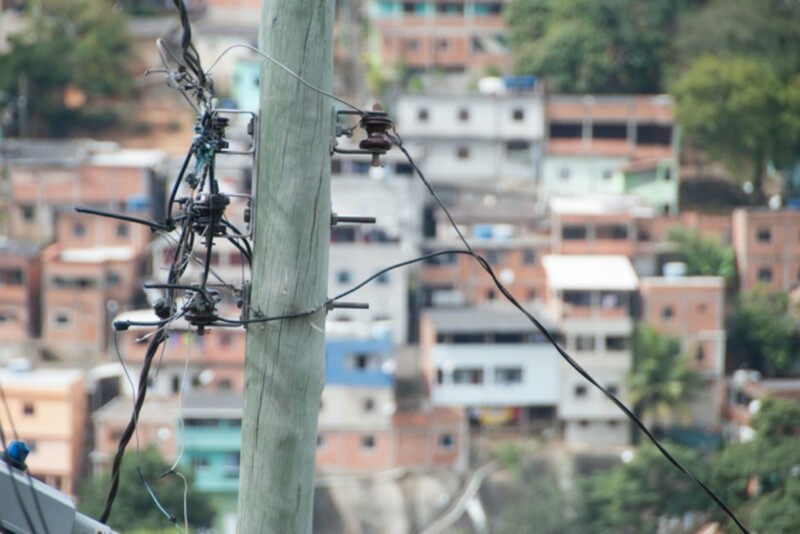 Favelas, as “informal” and quasi-legal settlements, are not completely integrated into infrastructural networks, such as water and power systems. The very act of getting reliable power can be a daily challenge and computers are especially susceptible to damage from irregular electricity. 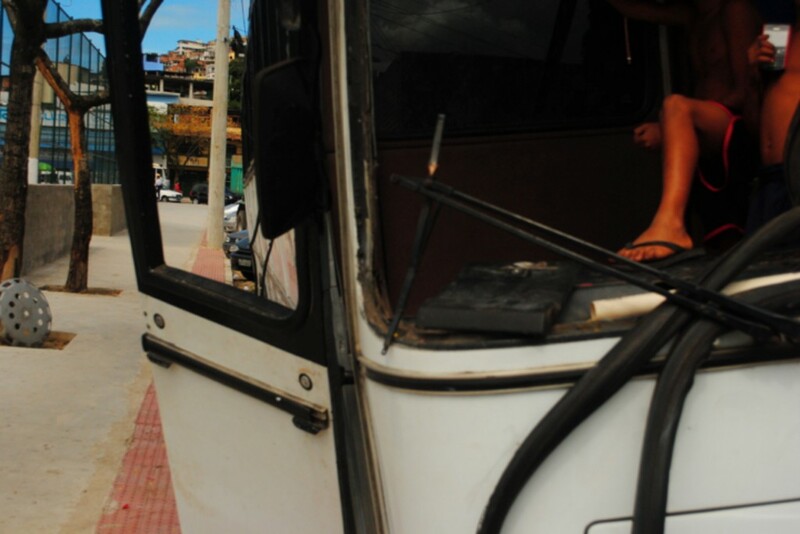 Favela residents acquire utilities through illegal, makeshift taps, called gatos (“cats”). LAN houses, which are integrated into the legal infrastructural systems, have to contend with neighboring residents who are siphoning their own connections and disrupting the power supply of LAN houses, disruptions which affect their ability to offer continual service to their customers. A nest of Ethernet cable. Photo by Brenda Shäde. They [internet providers] say they won’t improve their internet infrastructures because there aren’t enough customers for them in the morro [hill], but it’s not true…if you look out there every light pole you will see tons of blue cables going to every direction and every house…we need more and better internet. I can’t stay here and wait around… The Government is not interested in us, so I might as well do something about it [Internet]. The people here don’t have the time to learn about technology and Internet, and since this is what I do, I decided to look for articles on Google and YouTube that could teach me how to do this [bring the internet to his community]. This is indeed another source of income for me but I also feel I’m doing some good for my community. 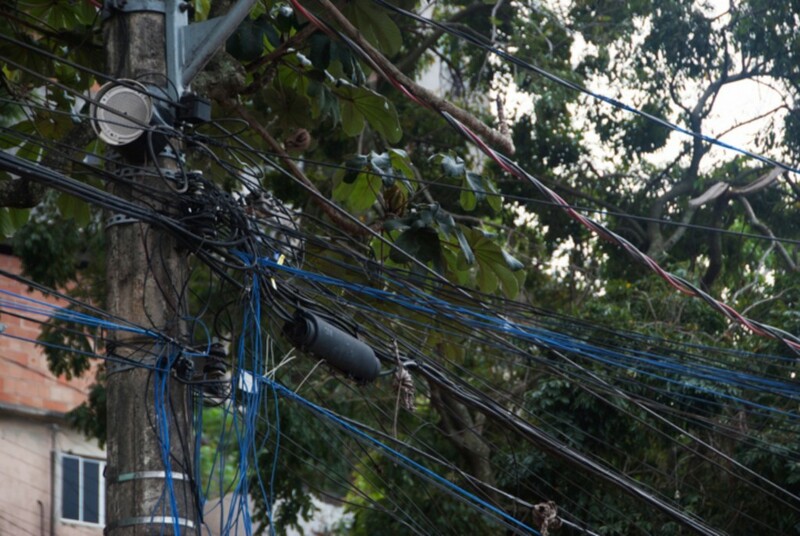 Fernando’s strategy was to subscribe to a faster Internet connection through his uncle’s house, which was located on the border of the favela in a richer neighborhood. Jairo used 15 Linksys routers and 500 meters of Ethernet cable to connect both his LAN house and the neighboring community. LAN house owner bringing Internet to the forgotten place. Photo by Leandro Recoba. …nowadays everyone can buy a computer, especially because they can buy it in installments and pay it in 48 months. The problem is that they don’t know how to use it properly… People would come and ask me if I could fix their computers since I maintain the computer at my LAN house. 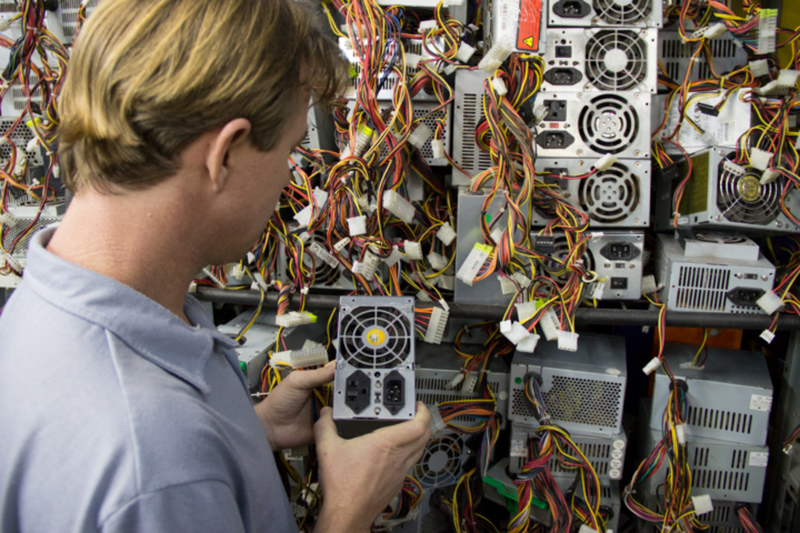 I saw it as an opportunity to broaden my business…now I get computers with a thousand viruses, fried boards…and if it wasn’t for me they wouldn’t be able to fix their computers since I charge them a fair price and usually recycle boards. The LAN house operators themselves scrape together this technological knowledge through a combination of hands-on interaction and online videos and articles, rather than any formalized certification or training. 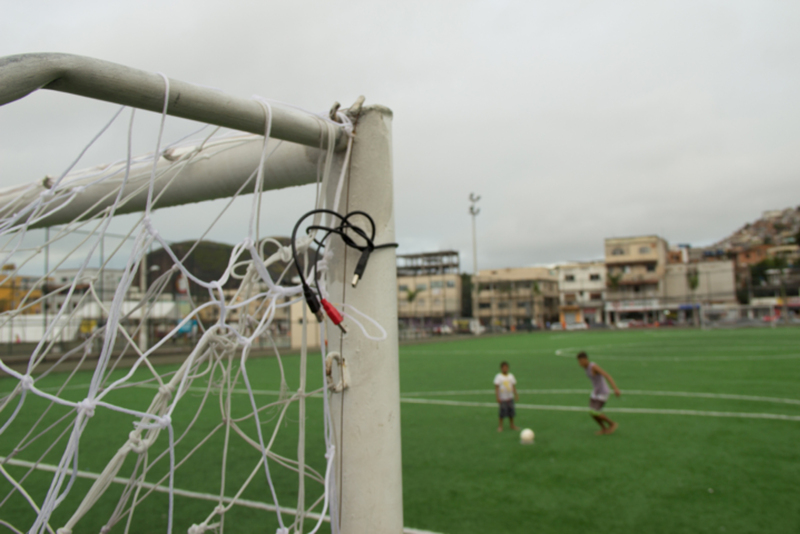 Their knowledge of proper use, much like the repair of computers or the provision of power, is cobbled together—as is that of favela residents in the LAN houses and Telecenters. Telecenter's storage room. Power supply units were vital to keep computers running. Photo by David Nemer. I’m trying to learn how to use this thing [computer] but it doesn’t make sense, I waste so much time to write [type] something because I can’t find the right letters [keys]. It gets in the way of learning this thing [computer] I feel angry and unmotivated. But that’s OK because when I find the damn letter [key] I don’t push it, I punch it! 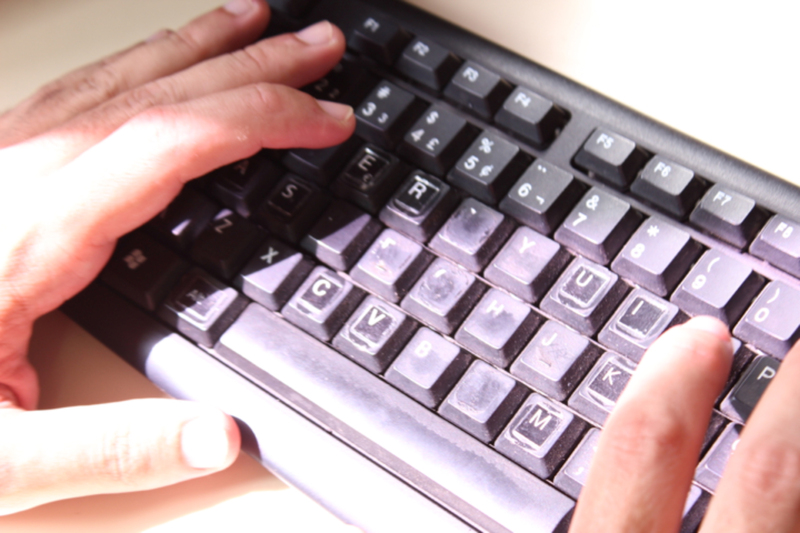 The keyboards themselves reflected the harshness of their environment and heavy usage: faded and unreadable keys are not uncommon. The LAN computers were not unproblematic venues of access. They were as worn down and patched together as the larger infrastructural systems of the favela: they too had to be contended with on a daily basis. A worn-out keyboard from a Telecenter. Photo by Jeferson Louis. Why think about worn-out keyboards and makeshift systems of routers when trying to reimagine what infrastructure, as a concept, can do for us? It is because, I believe, thinking about these conditions of everyday breakage and failure allows us to envision infrastructure as a process, rather than as a stabilizing and steady entity. Infrastructure is cobbled and taped together, it has to be struggled with, it is full of gaps and holes and seams, both materially and socially created. This idea of a messy and unstable infrastructure requires the continuing small, daily acts that keep the system functional. The environment of the favela should not be seen an exception to the city of the future: as urban centers are growing and becoming even more central to our current economy, they need the people who typically reside in slums to build and maintain such cities. Hence it is far more likely that the majority of the world’s population will, in the coming years, live in conditions that the favela embodies: quasi-legal, densely populated, skirting the edges of legally recognizable and serviced areas. Children's playground. Photo by Jeferson Louis. The favela is our mundane future, and the future is a messy thing, one that needs to be carefully patched together to stay useful. The tasks highlighted here—the constant struggle against electrical taps, the rejigging of a slow and barely usable Internet connection—all of these tasks are small, partial things, when compared to the largeness of the years of institutionalized neglect that define the favela. But perhaps these works of creative tinkering are the most effective way to live with what infrastructure one has. I do not think anyone would say that the larger problems of the favela can be magically fixed by a few repairmen, however fearsome their tinkering skills may be. But everyday life is made much more bearable by their presence, as the favela residents themselves say. If we are to rethink infrastructure, we must think about how it slots uncomfortably and uncertainly into the rhythms of people’s daily lives. We must consider what work goes into making it fit, and acknowledge the precarious and haphazard nature of this work and its fixes. It is only in looking at these gaps—these points of breakage, these seams—that we can begin to see infrastructure not as a thing imposed upon or denied to people, but as something that must be lived with and dealt with, in all its messy, uncertain reality. Appropriating digital technologies. Photo by David Nemer. Despite the challenges faced by favelas residents, slums could serve as good examples of sociotechnical ecologies for the cities of tomorrow. As the industry is becoming increasingly interested in developing smart cities in order to enhance performance and wellbeing through technology, looking at favelas would give us a better understanding of how to build smarter cities. Smarter cities, based on Favelas, would be places where the people would walk more and drive less, neighbors would work together and turn relations into relationships, and the will and goals of the community would be priorities in urban planning. Hence, there is an opportunity for designers to gain insight from these social practices and develop technologies to promote them. The industry could also learn and develop smarter organizations by paying attention to the bricolage practices in the favelas, their self-organization through participatory actions, and the avoidance of top-bottom approaches. Instead of looking at Favelas as a plague of the present, we should approach them as unique and important sociotechnical ecologies that could teach us how to build a better future. This post is based on the paper “Living in the Broken City: Favelas, Infrastructural Inequity and the Materiality of the Digital” by Chirumamilla, P., & Nemer, D. (2014). The photos were taken mostly by local photographers for the book “Favela Digital: The other side of technology” http://favela-digital.com, and are used with permission. 1. LAN Houses are privately owned establishments where, like in a cybercafé, people can pay to use a computer with a local area network (LAN) and Internet access. LAN Houses along with other technology access establishments, such as Telecenters and Libraries, are considered community technology centers (CTCs) (Nemer & Reed, 2013). Chirumamilla, P., & Nemer, D. (2014) Living in the Broken City: Favelas, Infrastructural Inequity and the Materiality of the Digital. Annual Meeting of the Society for the Social Studies of Science, August, Buenos Aires. Nemer, D. (2013). 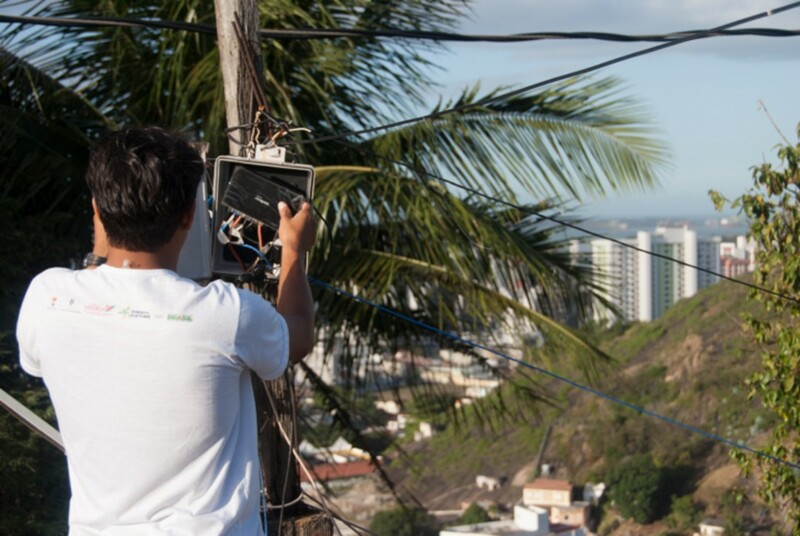 Favela Digital – The other side of technology. Vitoria, Brazil: Editora GSA. Takhteyev, Y. (2012). Coding places: Software practice in a South American city. MIT Press. David Nemer is a PhD candidate at Indiana University in the School of Informatics and Computing. He holds an MSc in Computer Science from Saarland University, Germany; a BSc in Computer Science from FAESA, Brazil; and a BSc in Business Administration from UFES, Brazil. His research and teaching interests cover the intersection of international development, new media, community informatics, ICT for Development (ICT4D), science and technology studies (STS), postcolonial STS, and human-computer interaction (HCI). Methodologically, David uses qualitative methods drawn from critical ethnography in online and offline contexts, and quantitative and qualitative content analysis of the web. 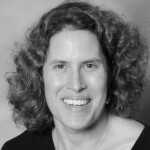 ← Data, Data, Everywhere, but Who Gets to Interpret It?